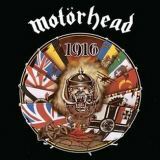 An underappreciated gem from Motörhead, I’ve been meaning to write 1916 up for a while, finally deciding on it for this week. By unhappy coincidence, the death of guitarist Michael ‘Würzel’ Burston was announced recently, a long-term contributor to the band from No Remorse up until Sacrifice and beyond. 1916 comes more or less smack-bang in the middle of the Würzel years, alongside Phil Campbell forming a duo that works very well. Motörhead as a four-piece recorded some great albums, and 1916 more than deserves to be described like that, despite being something of a step outside the band’s comfort zone. It saw the band switch label to WTG, as well as switch countries with Lemmy’s move to LA in the face of poor sales in England, and there’s something of a commercial vibe to certain aspects of its sound. Lemmy does a lot of singing, for one, not least on outright power ballad Love Me Forever, which is saved from the usual fate of power ballads by being brilliant, a genuinely sad tone to the vocals married with much melodic lead guitar to great effect. Yet the likes of No Voices In The Sky are excellent songs too, that song in particular topped off with a truly fantastic solo from Würzel. Most of the album is in line with the Motörhead we know and love. Opener One To Sing The Blues is outstanding, riding in atop drum rolls and instantly infectious riffing, and is followed by the even better I’m So Bad (Baby I Don’t Care). Lemmy is nothing if not a superb songwriter, and this album contains hit after hit, Going To Brazil being a personal favourite. There’s nothing that anyone would seriously call filler, the likes of Angel City and Shut You Down being great bits of rock n’roll (the former with added piano!). Make My Day is the heaviest piece on the album, almost thrash-tinged in its powerful drive building up manically with Lemmy seemingly yelling before a lengthy solo peaks things out. Throughout, the guitars are excellent. Nightmare/The Dreamtime is possibly the only misstep, an experimental (for them) spoken-word piece that sounds more up Hawkwind’s street with backwards vocals and bass strums beneath psychedelic keyboards. It’s eerie in a sub-Orgasmatron way, but feels odd in the album running, and in an album that so warmly embraces other experiments like the punky R.A.M.O.N.E.S. (a tribute to the band that was later covered by them) has to be a failure. What isn’t a failure, though, is what this album is generally remembered for – the title track. A slow, stirring tribute to teenage soldiers in unfair wars sung in near-tearful reverence by Lemmy in one of his finest moments, although it mentions the first World War it’s an eternal message even in this post-Iraq war years, when our soldiers are still being sent to foreign lands to fight wars which not even politicians understand. As far as tributes go, this review is considerably lacking – I’m not very good at describing the intricate ins and outs of guitarists, which is what seems to be best fitting here. Yet you don’t really need to know anything other than that Würzel fits into the band’s sound perfectly, a contributor to excellence that is often too focused on Lemmy at the rest of the band’s cost. The best tribute, ultimately, is 1916 itself, and it deserves to be played loudly in Würzel’s memory. RIP.